Devin Wilson wants a second chance to use his GI Bill benefits after going to for-profit Corinthian, which closed. Iraq and Afghanistan veterans Ashton Harris and Devin Wilson were among the 16,000 students attending the for-profit Corinthian College when it abruptly closed on April 27. They paid for their education using their GI Bill benefits, which can cover three years of tuition. Now they worry they've wasted valuable benefits on a school that no longer exists. Harris and Wilson hope to transfer, but they don't know how many of their credits will be accepted at another school. It's difficult for any student to transfer credits, much less for someone who attended a defunct for-profit. "Let's say other schools count it against us because our school closed down. Then everything I did doesn't matter anymore," said Harris, 28, who served nine years in the Army. Both vets attended the Corinthian-owned Heald College in Hawaii, and were about a year away from finishing their degrees. Both want the Department of Veterans Affairs to extend their benefits. But the VA told Wilson no. Harris is still waiting to hear back. "Unfortunately, there are no provisions in the law that would allow VA to restore entitlement that has been used attending one of the schools," the department said on its website. It did not return requests for comment from CNNMoney. If Harris and Wilson had taken out federal loans to pay for school -- instead of using GI Bill benefits -- their situation would be different. The Department of Education allows anyone with federal loans to apply for loan forgiveness if they attend a school that closes, as long as their credits aren't transferred to another school. 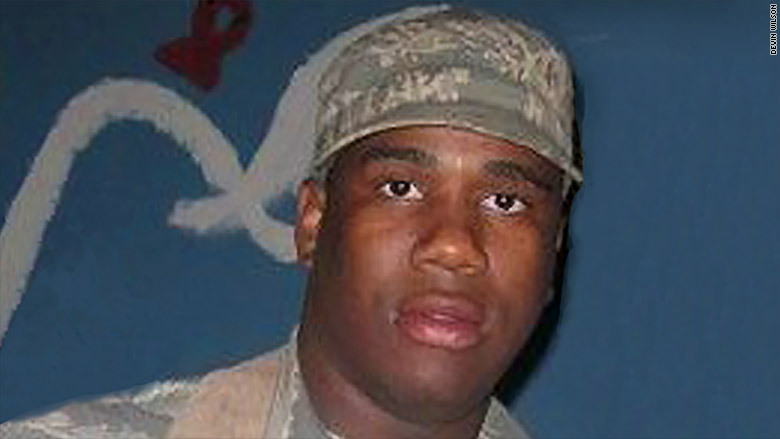 Ashton Harris, 28, served nine years in the Army. But there's no rule to help veterans using the GI Bill, Wilson said. Harris and Wilson hope the VA will show some leniency in the case of Corinthian. The for-profit network of colleges didn't simply run out of money. It was forced to sell off or close all of its 100 or so campuses after it was sued by the U.S. government and several states for preying on low-income students with high-interest loans. It was fined $30 million in April for luring students with inflated job placement numbers. More than 5,700 veterans were enrolled in Corinthian's schools when they were closed or sold off. In fact, Corinthian has been accused of deceptive marketing practices aimed specifically at veterans. A year ago, the state of California prohibited veterans from using their GI benefits at Corinthian. 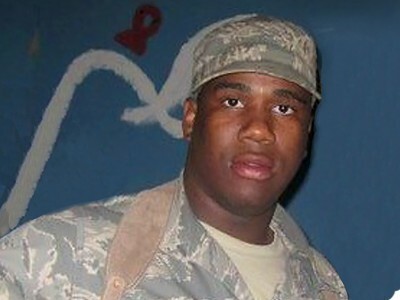 Devin Wilson, 25, enrolled at Heald College after six years in the Air Force. But Wilson was shocked when he learned from a news article that Heald was closing. 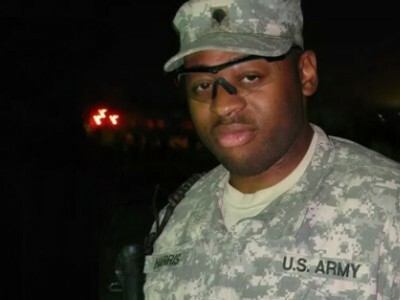 After serving six years in the Air Force, he enrolled to pursue an associate's degree in IT, which was his field in the service. At the time, he said, the school told him that it would eventually offer four-year programs. Harris knew the school's parent company was under federal investigation when he enrolled. But he was assured that Heald would be sold to another owner and stay open. He started classes while he was still in the service because it offered night classes and the network administration program he was looking for. For now, students are scrambling to figure out what's next. Heald College shut down just one week into a new quarter. It's doubtful that they'll be able to enroll in a new school before the fall semester. Harris has already applied to the non-profit University of Hawaii at Manoa, but the school hasn't told him yet how many credits will transfer. "It all depends on if my credits transfer over. If they don't, I'm pretty much starting over again," he said.